Well we're nearing the end. Tomorrow I will be a legal 16 year old. Today I'm just a young 15 year old.Aren't birthdays just wonderful things? For today's topic I've chosen something which I can get really sentimental over...the movies that mean something to me.What do I mean by this? The movies which I look at and have all of the sentiment for. To put it in simple terms these movies feel like pets to me. Nice fluffy ginger kittens if you want to get specific. My first obsession with a movie. A movie which I have an undying love for. Back in April 2008 I watched Gone with the Wind for the first time. At that point I didn't actually know that it was nearly 4 hours long so I was a little confused when it just stopped in the middle and then there was a little hand on the screen asking me to flip the disc over. That day I watched the whole thing thinking that I hadn't seen anything like it before. Truth is I still haven't seen anything that comes close to the sheer epicness and the masterful piece of film-making that it is. 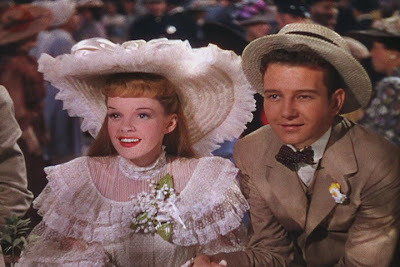 The technicolour is enchanting, the story is amazing and the acting is brilliance...it's truly one of a kind for me. It affected me so much that I made this huge booklet describing everything about the making of this movie (and no one, to this day, has ever seen it). The first movie that I ever blogged about. If my reviewing skills haven't become any better since then, I sure do write a lot more! I love this film a lot more than I did back then, though, thanks to it's beauty and thrilling cross between horror and arthouse. My favourite experience at the movies. Technically, there are three favourite experiences that I've had, and they're all for the same movie. You probably already know what they are: the three times I watched Inception. It's pretty much impossible for me to choose which screening was my favourite. The first time was amazing, because well, it was my first viewing of the movie after months of anticipating it, and it turned out to top my expectations. I like the effect it had on me afterwards, too: I cried once the credits rolled and I was shaking for quite a while after leaving the cinema. The second time was cool because I got to take two more friends, and everybody started clapping at the end. The third time may have been the most fun because I got to take six friends with me for my birthday party. We had a grand old time, but the funniest thing was when the audience all got really pissed off at the end. So I guess I should thank my friends for making those experiences awesome: Maxine (who saw it with me all three times), Kieran and Megan (who saw it with me twice), and Cassie, Tania and Georgia. Over the past few weeks, I've been thinking that Schindler's List might be my favourite movie, but I really can't place it over Christopher Nolan's Memento. While Memento may not be a film that I have watched that many times, nor a film which I feel like watching often, I still absolutely love it. I really do like movies that aren't in chronological order. Memento is the king of movies that aren't in chronological order. I always feel like I have this movie all figured out, but then I remember that it's going in the opposite direction to me and I have to figure it out all over again. Usually I forget small details that make this movie make sense, so it's always like watching a new movie for me. Such a rare trait that it possesses - and that's why I love it. So what are some of your 'fluffy ginger kitten' movies? Great post. I have a lot of fluffy ginger kitten movies, so I won't begin to list them. 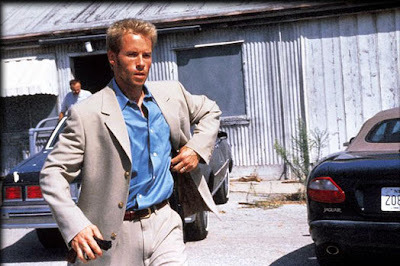 I'm probably the only person who's going to disagree with your comment about Memento being the king of non-linear films. There are heaps I like more than that, most notably Irreversible, which uses the reverse storytelling technique more emotionally cleverly than Memento, although Memento does do it VERY well. But that's just a tiny matter of opinion. I wouldn't even know where to begin listing my fluffy ginger kitten movies, they range from Stand By Me and The Goonies to A Nightmare on Elm Street, and beyond. Every Christmas though, without fail, I have to watch Die Hard. I also second Tyler's comment about Irreversible. It's the best non-linear film I've ever seen. I feel like it was only yesterday I turned 16, even though it's already been about 6 months... 16 is a great age, really. Subtitles are a wonderful invention, I think, I mean it's such a great way to watch movies in languages you don't understand, to dive into new film industries... in Denmark, most films are subtitled and not dubbed, so I learned to follow up with them from a young age... that's the way it should be everywhere. Sadly, in Germany almost everything is dubbed. Wow 3 awesome screenings of the same movie? That's pretty unheard of :) No wonder you love Inception ahah. I also feel that I don't need see some of my favorite movies that many times just like you with Memento. I'm always afraid I will like those less if I do. Brilliant list of brilliant films. This is the best birthday EVER!! 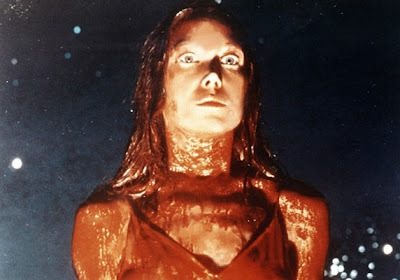 Carrie is also an awesome film to be your first movie obsession! Tyler - Well I haven't seen Irreversible, so in my world Memento is king. Actually, Memento is king of everything in my world, haha. Liam - It's amazing what movies can become fluffy ginger kitten movies! I've heard that Die Hard is a very good Christmas movie. I should probably watch it sometime. Lime(tte) - It feels like yesterday that I turned 16...because it was! Haha, I just had to seize that opportunity. Subtitles are cool, too. I love watching foreign films because they often introduce you to a whole new world of films. It's awesome! Castor - Haha, that wasn't the first time I've done that...but I won't tell you what other film I caught three screenings of ;) And amen to your final sentence! Scott - It's pretty alright, huh? Cherokee - And it's better that way, isn't it? Carrie is just an awesome film! filmgeek - You simply must watch it! I, for one, love it. GWTW evokes the same comments/feelings in me as you put it in the post. Great! It's an amazing movie! HostMonster has been in the industry for over 10 years and has lots of awards they had won from several top web hosting analysis companies to appearance for their affection hosting services. I am autograph wordpress website backups this not because I accept apparent them but for the actuality that I accept acclimated their casework for abutting to 36 months now.